$10 for a paper invoice? What the hell? Each filing could cost up to $25, in that case. I didn’t find any direct reference to this in the filings in my quick review, but based on Lexis’ statement on the Court site, this filing fee is in addition to those collected by the court for the administrative process (the standard court filing fees). What if you are indigent and qualify for fee waiver? 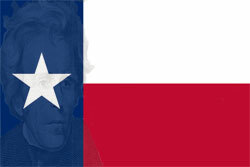 Texas, like most states, provides fee waivers for litigants who cannot afford to pay filing costs in civil lawsuits. (Texas Rules of Civil Procedure, Rule 145). I assume that an indigent litigant or his or her pro bono/Legal Aid attorney will have to petition the judge to allow a paper filing. After all, the terminal is free in the courthouse, but you’ll still get a bill from Lexis. I’m all for moving to a paperless solution for the legal system. I understand that companies like Lexis are not going to just provide this for free, but I think there needs to be some debate about who exactly is going to pay for it. As Greg points out in his post, e-filing is convenient for lawyers, and most already have an account with LexisNexis and just add this to the client’s bill. I wonder if this issue has been quiet until McPeters took it on because few litigants even know about it. They get a bill from their attorney for “filing fees” and they just assume the money is going to the Courts. And maybe it’s well spent, since you do not want to pay billable time for your lawyer to walk to the courthouse and file papers. However, I think most Americans know that they have a fundamental right of access to their courts and expect that they are being dealt with fairly when they interact with such systems. Imagine you went to pay a parking ticket, file taxes, or apply for a permit and were sent to a private site that charged you $25 for the privilege, while the government refused to take your check for the fees directly? I would add: and replace or improve the cost structure for existing privately sourced models, such as LexisNexis File & Serve. Want to help? WeJudicate is looking for funding. For $25, the price of one filing + an invoice from Lexis in Texas, you can back a project that will help increase access to courts all over the United States. An excellent article on an critically important subject. Access to American courts by citizens both rich and poor, sopisticated or not, is an issue of fundamental fairness and decency. Restricting court filings to private systems that overcharge potential plaintiffs is sure to dissuade many from filing at all, which is simply reprehensible. In addition, public legal information such as laws and court decisions should also be easily accessible as a matter of fairness and transparency in governance. When West bought FindLaw and junked it up with gobs of advertisement, it was an insult to those who value unfettered access to legal information. Here’s to Justia, Cornell Law School, and Mr.Colarusso’s project “WeJudicate” for working to bring legal information to the people. You may find the following interesting. On review of the costs of acquiring the Clerk’s Record from the Trial Court, I was amazed at the excessive and arbitrary $1 / page cost associated with doing nothing more than an electronic record transaction between the Trial Court and the Third Court of Appeals. Well, it appears that there may not be the statutory authority for the Trial Court to have levied these fees against any of the appellants. Following is a segment of a recent inquiry regarding the matter. What a ‘DOH’ for the Trial Court if they cannot provide a legitimate explanation.